Signs are in! 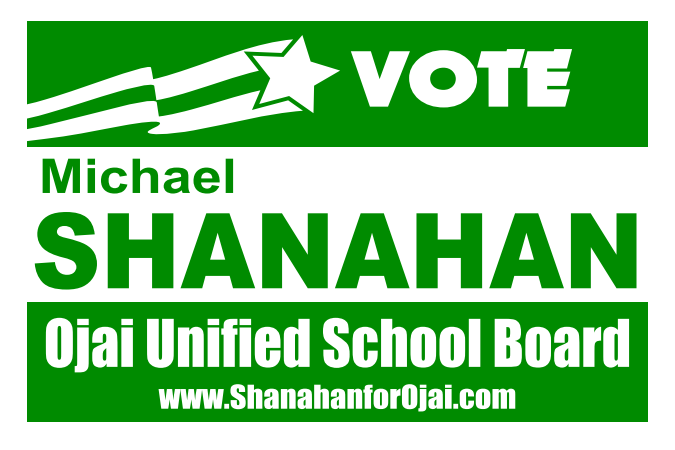 Email us at ShanahanforOjai@mail.com for your sign now! Beat the rush! Be the first on your street!